Hey ladies, I'm back with another review. 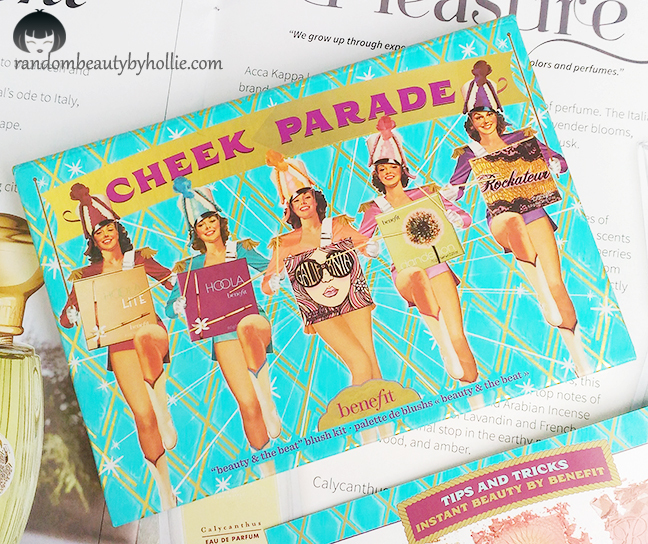 Finally I get to share with you my thoughts on the Benefit Cheek Parade Blush Palette. This is my first ever product from Benefit Cosmetics. 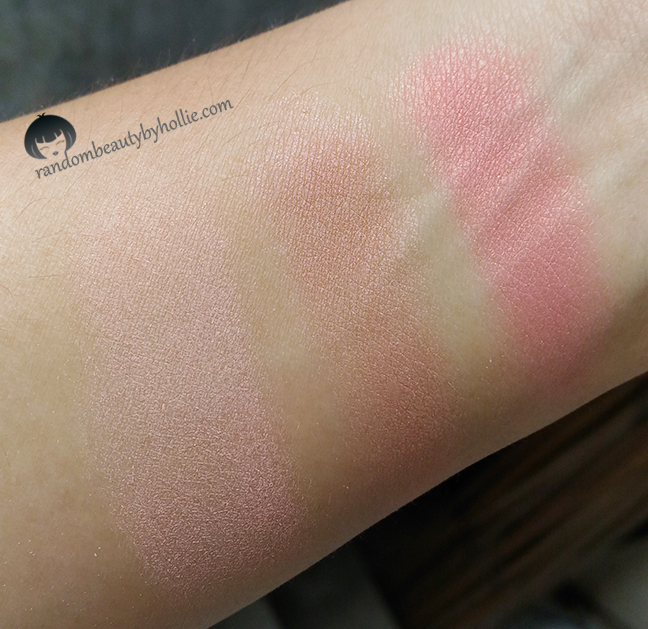 I've always wanted to try their blushes since it has always been well-loved by fellow beauty addicts. 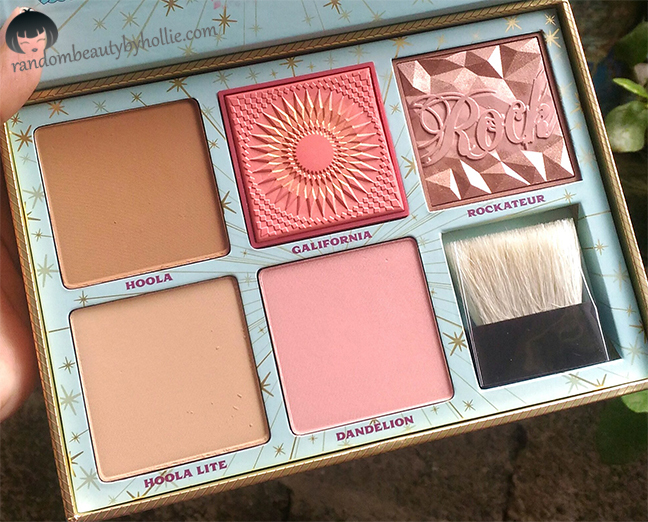 So, when I saw this palette, I though it would be perfect to try out some of their blushes and their ever popular Benefit Hoola Bronzer. I was one of the few who was able to snag this a few months ago when it first got released on the SephoraPH website. 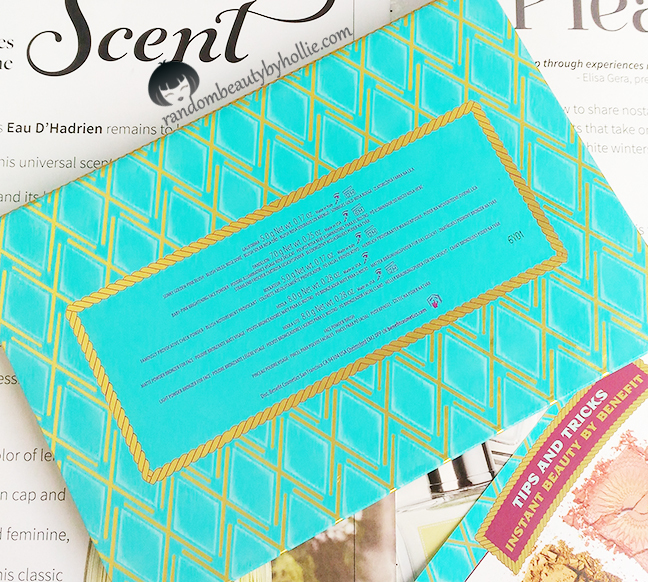 It came in this beautifully packaged teal colored design. (I easily get attracted to teal colors, thus explains one of the reasons why I bought this...LOL) The packaging feels really sturdy and a bit heavy, kinda luxurious in my opinion. 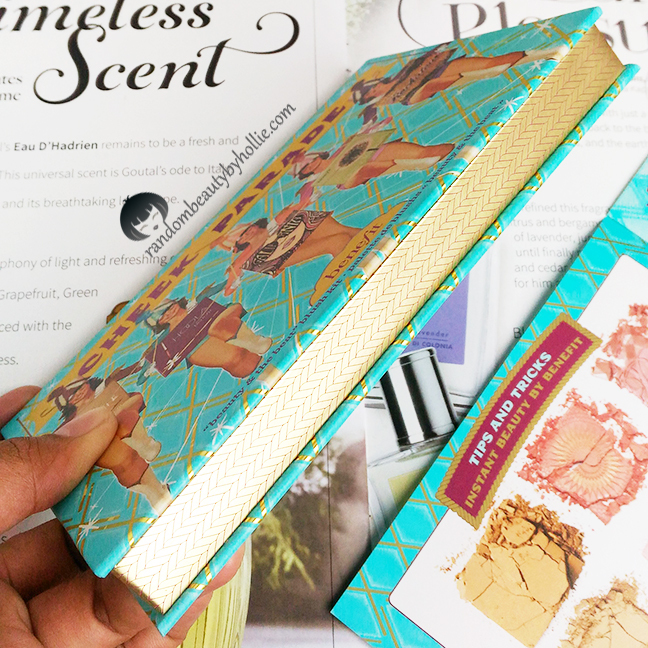 The sides are embellished with gold pattern, which made it look like an attractive book. The back shows a short description of the products inside the palette, including how much product there is on each pan. A limited-edition blockbuster palette featuring cult-favorite blush and bronzers. 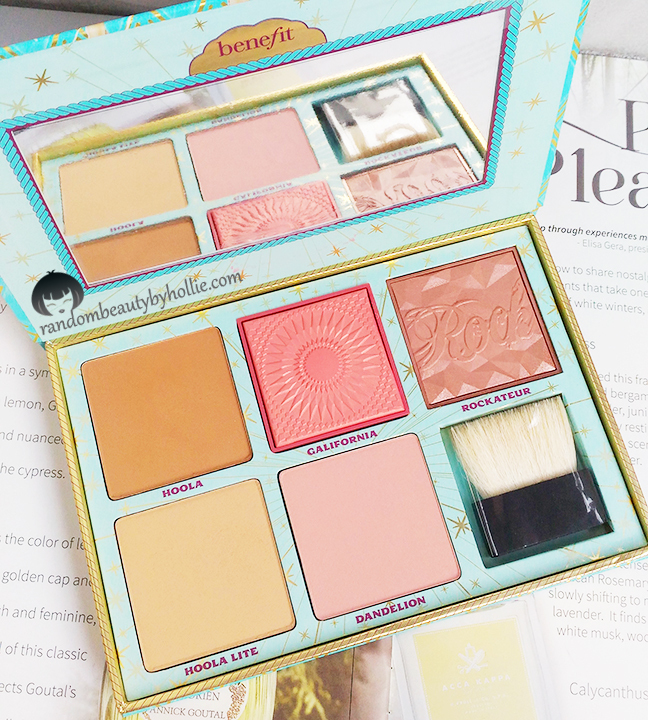 Iconic Benefit Cosmetic blushes and bronzers rally together in this cheeky, must-have palette. The all-new GALifornia blush teams up with top players like Hoola bronzer, both original matte and lite, to warm up the complexion. Rock on with a rose-gold flush or baby pink pick-me-up. 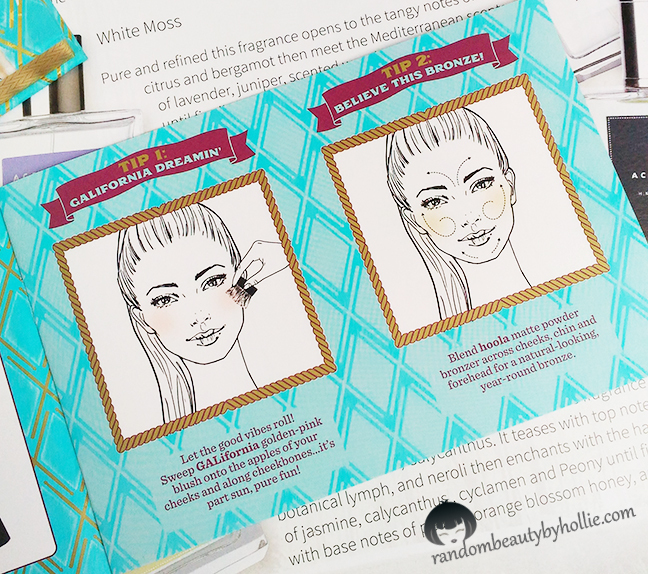 With five shades to flatter any skin tone, this Cheek Parade is sure to get the good vibes rollin’. Full-size GALifornia blush (golden pink). Full-size Hoola Matte Bronzer (natural bronze). 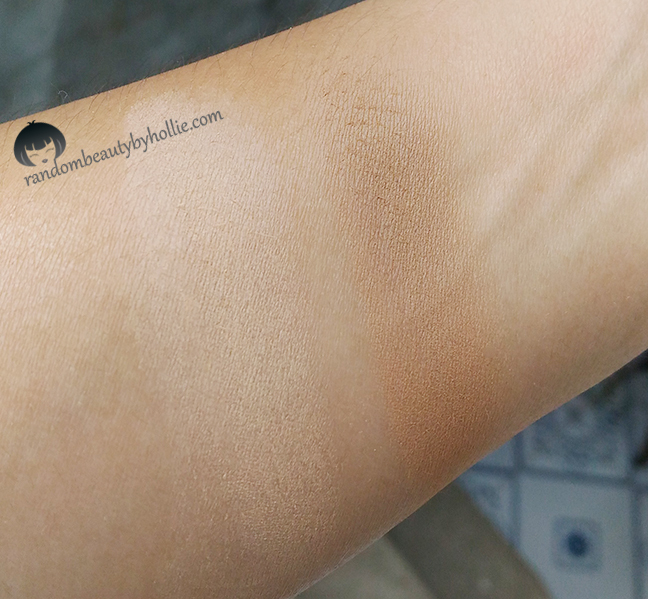 Full-size Hoola Lite Matte Bronzer (natural light bronze). Full-size Rockateur Box o’ Powder Blush (rose gold with shimmer). Full-size Dandelion Box o’ Powder Blush (radiant pale pink). * value for money. I get five full-sized products for the price of two. Overall, this is a really awesome palette to have. Especially if you own a limited number of blushes in your stash. In addition to that, this will look great on anyone's vanity since it is beautifully designed. I do think this is worth every penny. Each blush from Benefit costs roughly around $29 each, but you get all five full-sized blush and bronzer in this Benefit Cheek Parade Palette for only $58. The only reason why I didn't love this as much, is because it's too big to bring for travel. Other than that, I would highly recommend this for those with Light to Medium skin tone.